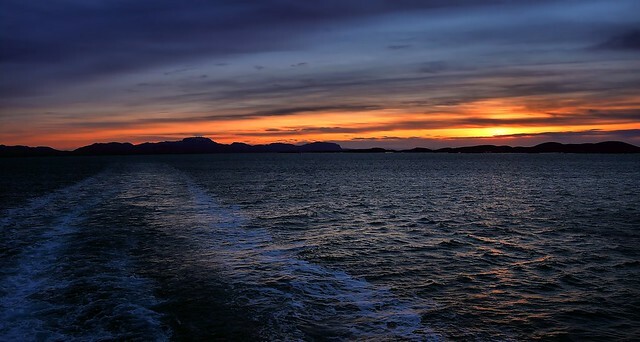 Only 3.30pm and the sun is already setting as we go Northbound in the sea outside of Trondheim, Norway. 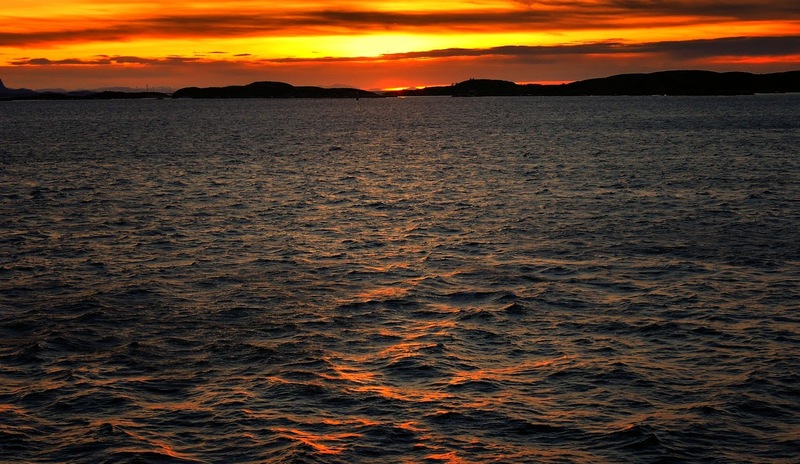 In a few hours we will cross the Artic Circle on our way to North Cape. Our first stop along the coast is the small fisher village Rørvik where we will arrive at 9pm - and also meet another Southbound coastal express.